Etihad is offering a 25% transfer bonus from several programs including Citi ThankYou Points through December 31, 2015. And inspecting the list of “available markets” lists points earned on the Citi Prestige® Card and Citi ThankYou® Premier Card as eligible for the transfer bonus. Etihad Guest Miles aren’t very good for booking First Class on the Etihad A380, which is a current obsession of mine. For instance, Etihad would charge 88,022 Etihad miles + $175 to book Abu Dhabi to London in First Class on the Etihad A380. During the transfer bonus, that’s 71,000 ThankYou Points. 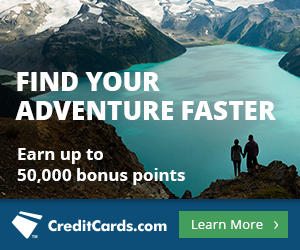 You could book the same flight for 40,000 American Airlines miles (and way fewer dollars out of pocket), which you could get from the Citi® / AAdvantage® Platinum Select® MasterCard®. A better deal, but not quite a good one, is booking JFK to Abu Dhabi in Etihad First Class for 117,556 Etihad miles + $179, which would be 95,000 ThankYou Points during the transfer bonus. You could book the same flight for 90,000 American Airlines miles + $6. JFK to Delhi, which would feature two flights in First Class is 124,000 ThankYou Points during the promotion. Again, this would cost only 90,000 American Airlines miles. So don’t use Etihad miles to book Etihad First Class unless you don’t have American Airlines miles, which are easy to get. The Citi® / AAdvantage® Platinum Select® MasterCard® and CitiBusiness® / AAdvantage® Platinum Select® World MasterCard® are each offering 50,000 bonus American Airlines miles after $3,000 in purchases made with your card in the first 3 months the account is open. 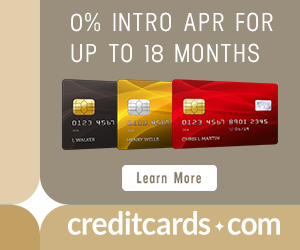 Don’t be thrown off by the word “Platinum.” Both cards have no annual fee the first 12 months, and then $95. Etihad Guest miles can be used on 25 other airlines. On Etihad’s page, you can click on “Know more” and then click to bring up the redemption table for that airline’s flights. Here is the award chart for using Etihad miles on American Airlines flights. All the prices are the same as if you used American Airlines miles, which means with a 20% transfer bonus, you can book the United States to Europe for 16,000 ThankYou Points on off peak dates or book the United States to Europe for 40,000 ThankYou Points in American Airlines Business Class. I have never booked American Airlines flights with Etihad miles, so I don’t know whether fuel surcharges will be collected. I do know that there are no fuel surcharges on American Airlines flights within the Americas. I have used Etihad miles to book a flight on Air Serbia. I needed to fly from Belgrade to Bucharest, and Etihad miles are the only way to book that flight on Air Serbia with miles. The award cost me 5,000 ThankYou Points + $23. During the transfer bonus, that would be 4,000 ThankYou Points. Etihad is offering a 25% bonus on ThankYou Points transferred to Etihad Guest Miles for the rest of 2015. This does not offer value for booking Etihad First Class, but it does offer great value for booking partner flights like American Airlines, Air Serbia, and 23 other partners. This is the rare transfer bonus that runs for long enough that you can get the points needed before the transfer period ends. I am going to make the transfer for the sake of Europe travels from USA costing only 16000 miles. I have two questions, have you seen a better transfer bonus? And please let me know about Etihad does or does not charge fuel surcharges on AA flights? Thanks. I have not seen a better transfer bonus. If I investigate further, I’ll let you know. If you investigate further, let us know. I tried to do a quick search on Etihad but of course I am doing something wrong as I am unable to pair CDG or AMS to DFW, PHL or ORD. What would be another way to search to find the right answer? You can’t search AA flights on etihad.com. You search them on aa.com. You can book flights with MileSAAver space on AA flights by calling Etihad. I could not get an answer from them when I called. Here is what I found. If you have the prestige card wouldnt you be better using your points to book on AA for the 1.6 rate vs converting to miles? It depends on the fare and the number of miles needed for an award of course. There is no shortcut on doing the (very simple) math for each case.